Would You Buy A Recycled Gown? Would you buy this gorgeous Vera Wang gown for $950 (P39,000)? The catch is, it's USED. Had I known of this service before, then yes. Maybe I would consider buying a recycled gown. I'd buy one and get to know the previous owner. I'll try to find out about her own wedding and ask for a photo. I'd create a blog about it and call it, the sisterhood of the traveling bridal gown haha. 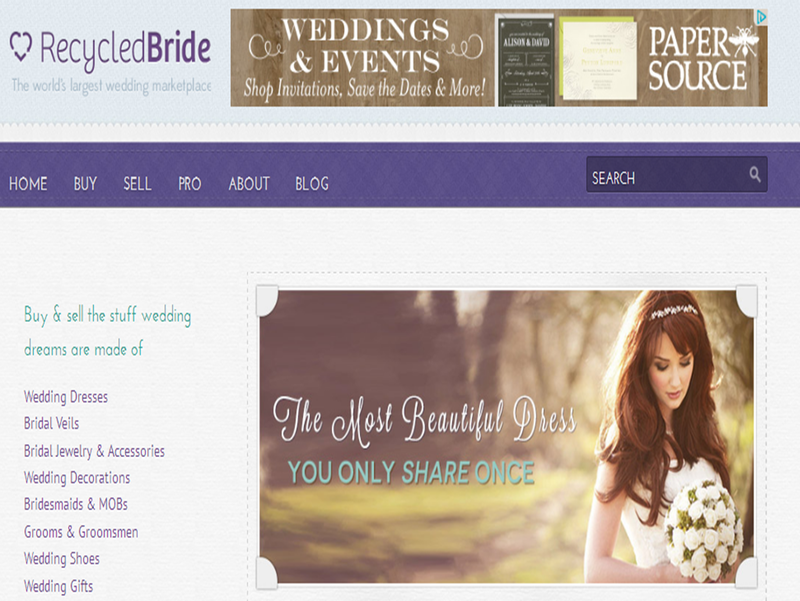 Mica and I were so attracted to this US-based business idea called the "Recycled Bride" website so much that we even thought of creating a local version of it. But alas, based on our research, Pinay brides are not willing to give up their gowns--even if it meant it will eventually turn moldy. Here are some of the gems I found over at Recycled Bride. And I am curious to know...are you rebellious (and practical) enough to buy a fabulous recycled bridal couture gown? This Monique Lhuillier Geisha Gown runs in a Size 10 for $500. It is owned by a bride from Atlanta and she bought her gown for $2,800 at the Monique Lhuiller Chicago boutique. She's selling her gown because she needs the cash asap. 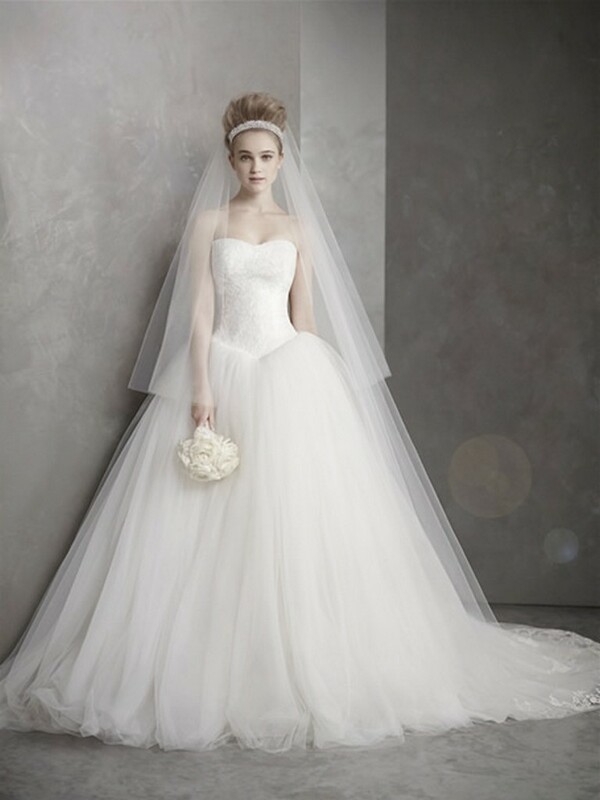 The bride is selling her classic cathedral Vera Wang gown made of 100 yards of tulle for only $600. The catch? She's a size 0. The bride is selling her Monique Lhuillier Size 8 Jacqueline gown for $800. The bride asserts that her gown is in mint condition and she only wore it once during her wedding day last May. The best part is? It's a two-piece gown so you can wear the gorgeous blouse separately. This Vera Wang gown is Size 6 and runs for $500. Apart from the fact that it is used, it is sold by a store in New York. The catch is, you can't buy it online. You have to visit their store. Like I said, I personally don't mind buying a recycled gown. But in my own opinion, anything over a thousand dollars is too much--might as well get a new one! I'd have no problem with purchasing a pre-owned gown. In fact I love looking through Recycled Bride, Once Wed and Pre-owned Wedding Dresses. And I'd have no issue with paying over a thousand US dollars for a designer gown (Oscar de la Renta, Monique Lhuillier, Pnina Tournai, Ines di Santo) especially since the new gowns would be WAY out of my budget lol.